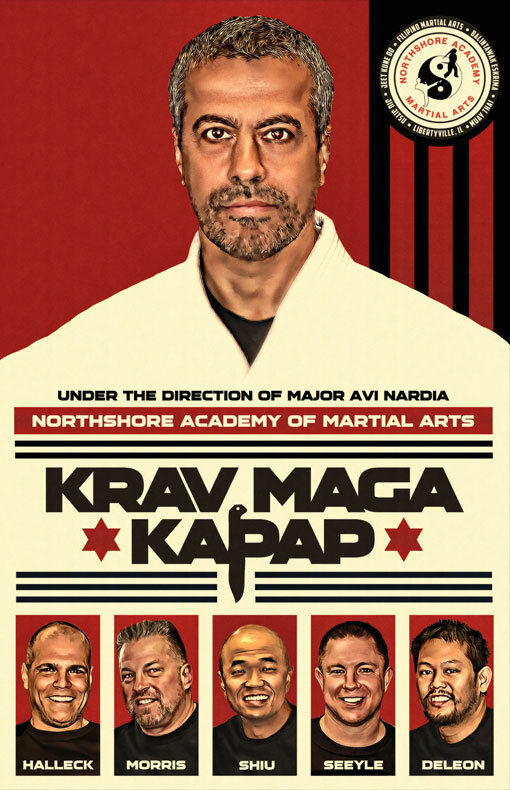 With the implementation of a new Krav Maga / Kapap program at the Northshore Academy of Martial Arts in Libertyville, we set out to feature Israeli Special Forces veteran Avi Nardia with a “God like” appearance while highlighting the rest of the NSAMA team. 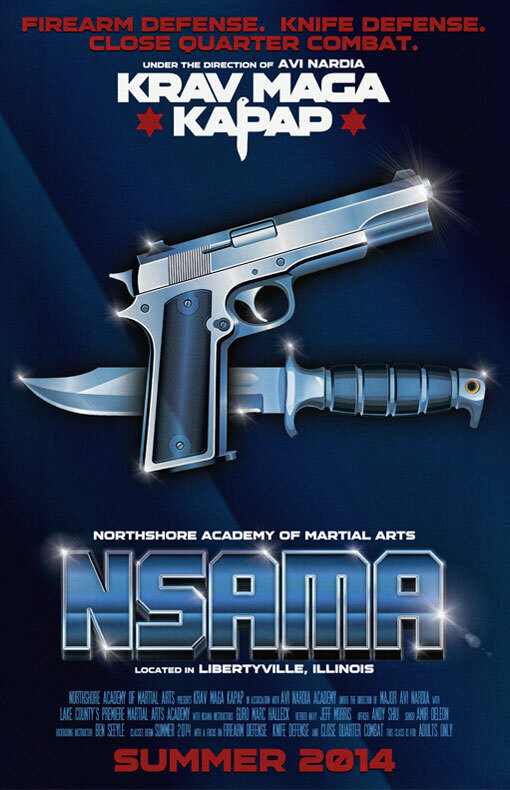 Because this new program focuses in on gun and knife defense, we took a retro futuristic approach to creating this poster. While deciding on a theme, we intentionally left out any instructors, giving this an eye catching “Cold Steel” look and feel that is sure to turn a few heads.